Many older homes in the East Bay area are in need of some renovation to preserve and increase their value. In addition, homes may have been damaged by fire or flooding. This type of restoration work requires the services of remodeling contractors. Professional contractors like those at K2GC Inc. know how to work with architectural plans to add that new master suite or build that new kitchen to modernize your home. Working couples rarely have time to do a remodel themselves, and they may need to buy the tools along with the supplies necessary for building a room addition or remodeling a kitchen. Remodeling contractors already have the tools, supplies and expertise. They will give you a line-item estimate within your budget for all materials and labor costs. These are often the most important rooms to update. Modern kitchens with islands, dual sinks, single-lever faucets and new energy-saving appliances add to your home’s value when you are ready to sell it. These additions will give a new look to your home from the 1950s to 1990s in Walnut Creek, Concord, Brentwood, Oakley and other Contra Costa communities. Remodeling contractors can save you money by finding the most economical vendors for flooring, wall coverings and fixtures. They will help you find the right counters, vanities, lighting and appliances. They work with plumbers and electricians who will guarantee their jobs. It may be time to add the new media room to your Discovery Bay house. The contractors know how to knock out walls without damaging your home. They usually try to work as quickly as possible so that your family is not displaced for long. They also know how to complete the exterior of the new room to blend in with your architecture. 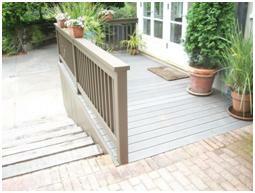 K2GC remodeling contractors are licensed contractors in Antioch, serving Contra Costa County. This company also specializes in repairs for homes damaged by fires or flooding as well as in standard remodels. K2GC builders maintain constant communication with homeowners throughout the construction project process. Contact K2GC at 925-754-5232 for more information or to request a free estimate.